1) 3" to 12" is 350 psi. 2) 14" to 24" is 250 psi. 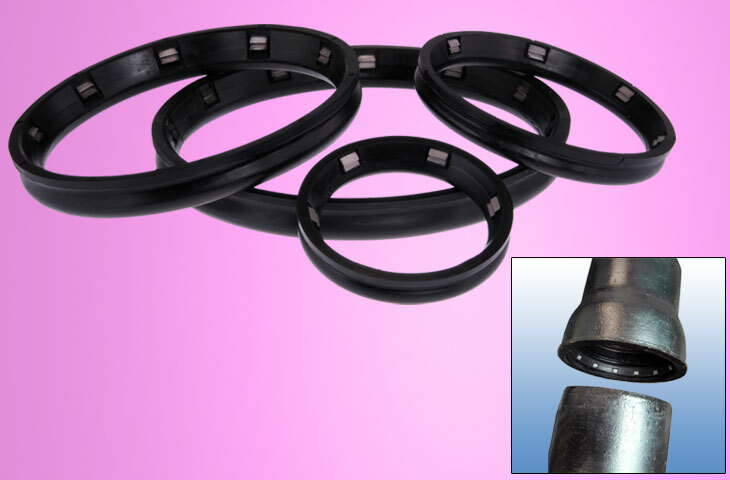 Gasket materials complies in all respects with physical requirements specified in "ANSI/AWWA C111/A 21.11.00/UL-194/NSF-61"
Superior quality synthetic rubber materials like SBR / EPDM.